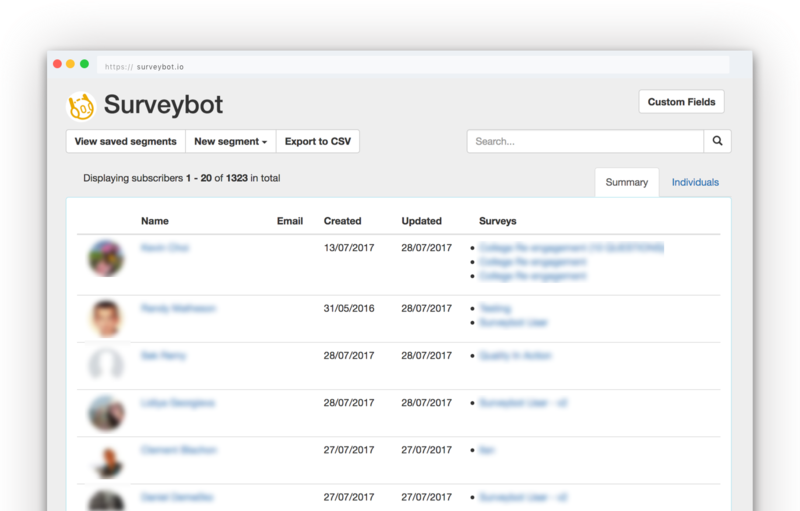 Build your own research panels with chatbot surveys. 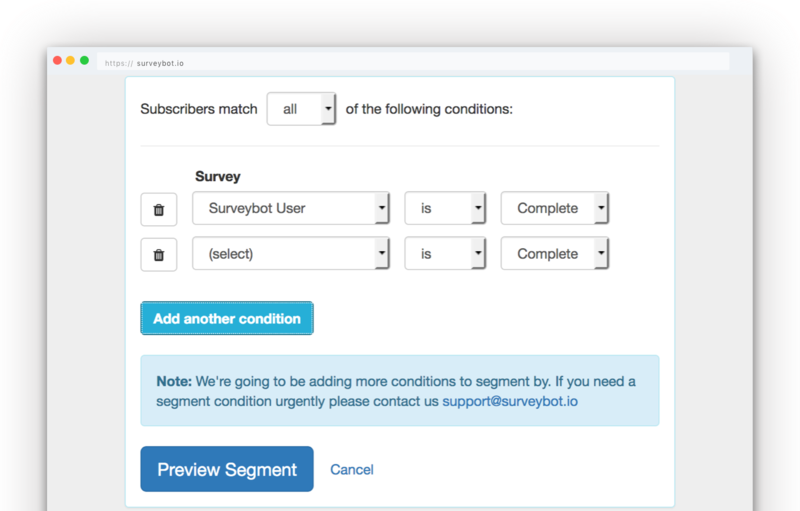 Respondents subscribe to your panels automatically when they answer your surveys. A separate panel is created for each of your Facebook Pages. View summaries of subscribers to see their profile information and completed surveys. Export panel members to CSV at any time. Setup conditions for each tag. 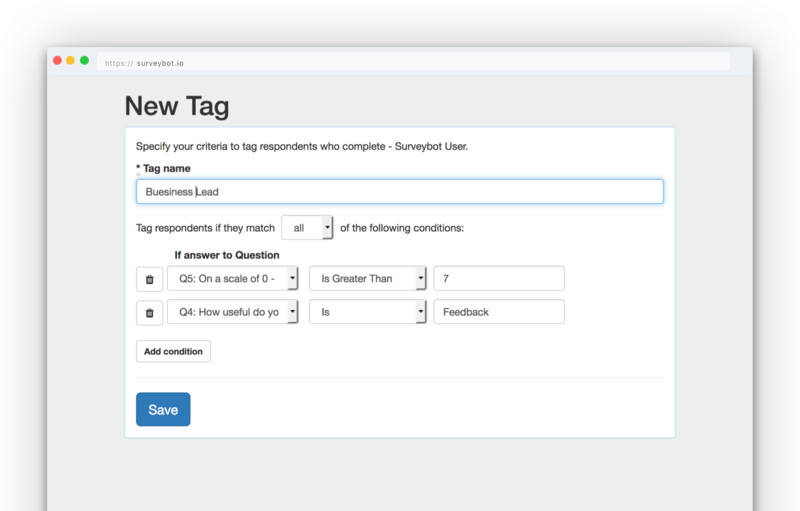 Create unlimited tags for each survey to tag your respondents with. Create your own custom fields for each of your panels. 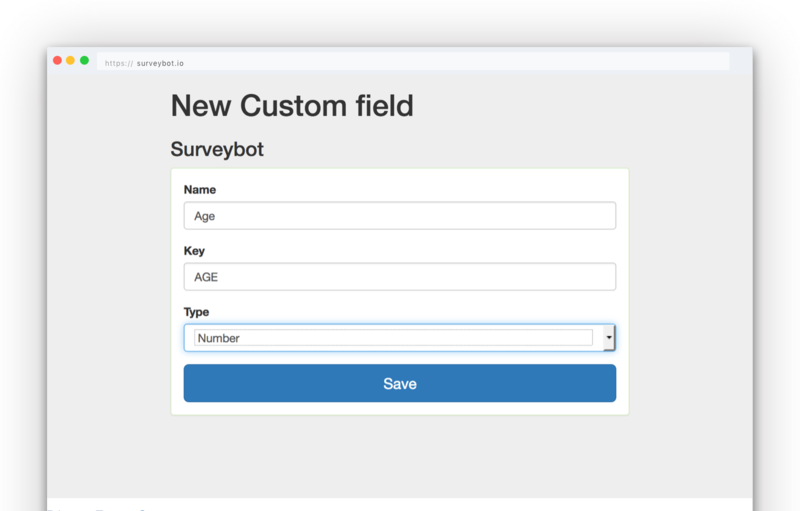 Populate custom fields with answers from survey questions. Access data from custom fields in your integrations. Build segments to group your Panel subscribers for future targeting. 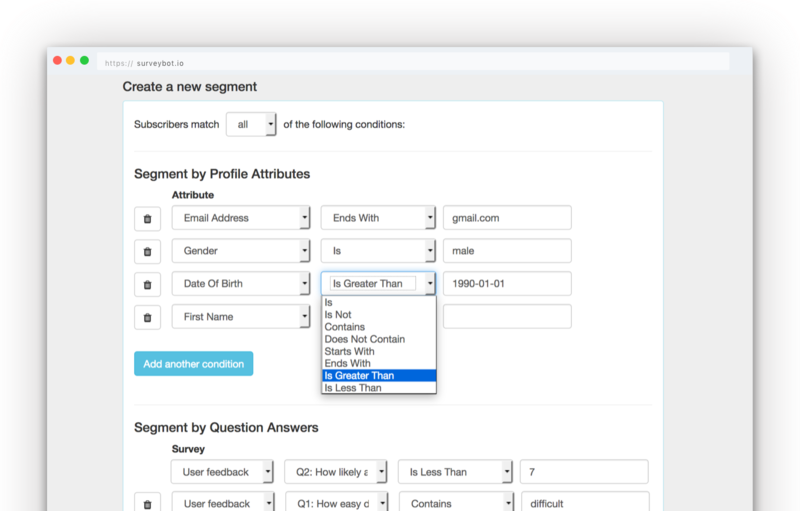 Add unlimited conditions to build your segments based on survey completion, question answers and profile attributes. Set your segment to group based on "all" or "any" of the conditions you add. Build segments based on the profile attributes of your panel members. Match attributes based on conditions like "contains", "starts with", "greater than" and more. Create your own customized attributes for your panels to segment by fields unique to you. 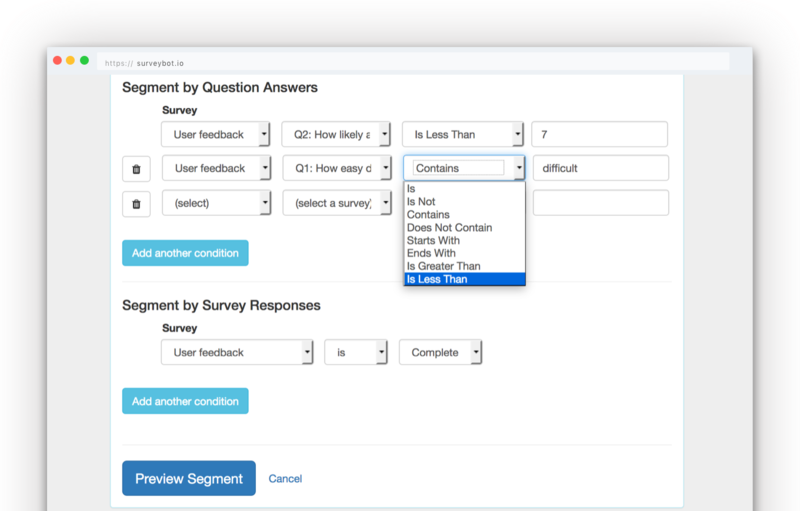 Build segments based on your employees answers to previous questions. Match answers based on conditions like "contains", "starts with", "greater than" and more. Segment based on questions from any of the surveys you have for your workplace.